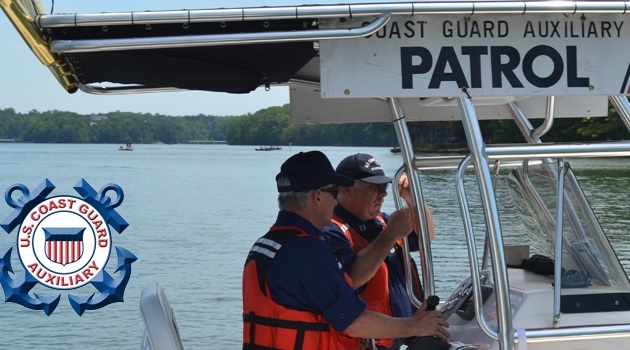 A boating safety class will be held on Saturday, March 16 from 8:30am – 4:30pm at ECPI University, Suite 300, 250 Berryhill Road in Columbia, SC. The course, About Boating Safely, taught by the U.S. Coast Guard Auxiliary, is certified by South Carolina DNR. Students who pass the course will be issued a South Carolina Boater Education Card. Course fee is $30.00 per person or $50.00 for two family members sharing materials. Class size is limited. Students under the age of 12 years must be accompanied by an adult enrolled in the class. For more information or to register contact Clay Goodwin at (719) 425-5101 or by email at [email protected]. About Boating Safely is a good refresher class for experienced boaters and for boaters of all ages with an emphasis on recreational boating safety. Experienced boaters are encouraged to bring an inexperienced boater along to learn what to do before getting underway and the basics of protecting and handling your boat safely. Also included are waterways navigation, safety equipment, boating problems and emergencies, and legal requirements for boating in South Carolina. Many insurance companies offer discounts to graduates of the boating education course. In South Carolina, boaters under 16 years of age are required by law to pass an approved boater education course before operating, without supervision, a personal watercraft (PWC) or a boat powered by a motor with 15 hp or more.